Prison sentences, fines and revocation of license of the currency exchange bureaus that don't follow official rates. 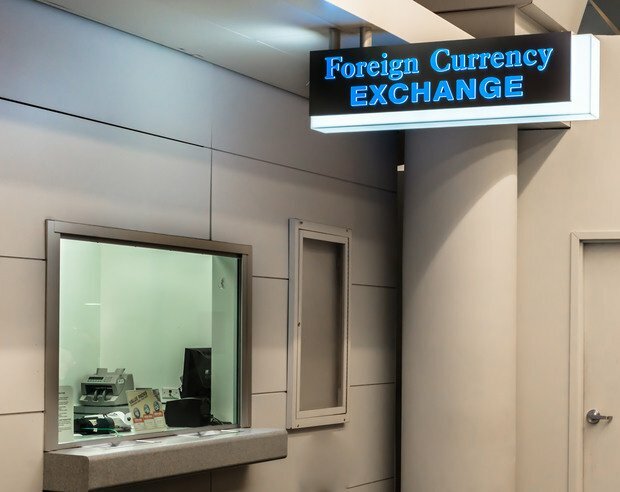 Currency exchange offices that sell foreign currency outside the official rate will now face legal persecution, in the latest episode of the crackdown by the central bank on illicit currency trade. The proposed law gives the central bank the right to suspend the license of any exchange bureau that defies the official trading rate of foreign currency for a year and if repeated permanently. Bureaus that don't follow the official rates also face prison sentences ranging from 6 months to 3 years and some sources stated it could reach 10 years along with fines that reach up to five million Egyptian pounds. The law also applies to individuals trading currency outside official rates. The central bank has reportedly closed down 2 exchange bureaus already. The law has to be approved by the parliament and signed by the president before taking effect. Traders responded to this crackdown by moving their business abroad, however this deprives Egypt of foreign currency which it is already struggling to provide. Currency dealers are trying to avoid persecution by dealing with money from expats and exporters before the hard currency enters Egypt. Expats send more than $19 billion annually to Egypt but this has dropped in the recent years due to the big gap between the official and the black market prices reaching more than 2 Egyptian pounds difference. This puts the central bank in an even worse position with the drop foreign reserves that reached $17.5 billion last month from $36 billion before the revolt in 2011 that led to a major drop in investments. The crisis led to the rise of the black market where individuals and businesses turned to satisfy their need for foreign currency even if it costs much more than the official rate. The Central bank had already taken steps to face the crisis by prioritizing essential imports and imposing restrictions on foreign currency movements. The black market stands as a block in front of foreign investments as it reduces confidence in the Egyptian pounds and poses threats of volatility of the currency. Experts argue that the answer lies in exports that will in turn fix the unbalanced economy, secure hard currency and encourage investments.